Designed for kids to practice changing clothes and color control. The board design is easy to carry, for your child to practice at any time. This lacing toy is funny toy that kids could play with parents and friends . Perfect workmanship makes it smooth without any splinter. It is an excellent gift for you to share with your friends. 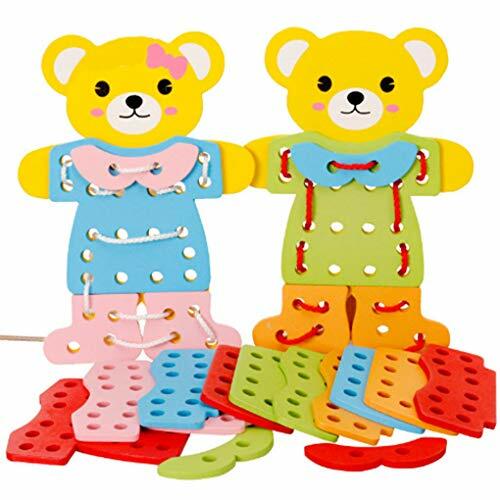 1* bear dress up lacing toy. If you have any questions about this product by F-blue, contact us by completing and submitting the form below. If you are looking for a specif part number, please include it with your message.